Story blurb: Dan Regal has always been alone, having been left on the steps of an orphanage when he was only a baby. He has never had any visitors, nor made any true friendships with the other children at the orphanage. Aside from this utter, inescapable aloneness, Dan Regal is an entirely normal, unremarkable young boy. On Dan’s twelfth birthday, he receives a visit from a mysterious stranger, a man by the name of Nevar Loeren, who claims to be the Principal of a school for children with special gifts – and he says that Dan has the very gifts they seek. The mysterious Mr. Loeren then vanishes before Dan’s very eyes, leaving him to doubt his sanity. But this will not be the last young Dan sees of the enigmatic stranger. Little does Dan know it, but he is just about to find out that he is part of a world he never even dreamed to be possible – and that he is anything but alone in that world. 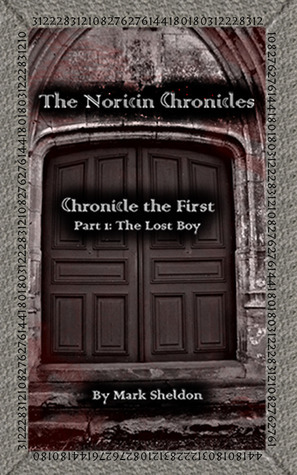 At first blush Chronicle the First Part 1: The Lost Boy (The Noricin Chronicles) by Mark Sheldon [Mark Sheldon, 2011], is a hard story to categorize. It is, I understand, not intended for younger readers, and yet it is written in a style that would be more appropriate to such an age group. Even some of the characters’ have juvenile names, i.e. Tommy Tuttle. So, superficially, one might be tempted to set it aside as being immature. On second thought, however, that would be at the cost of overlooking a very talented writer; a marvelously witty sense of humour; a charming story; and a fresh approach to adult reading. Briefly, Daniel Regal has lived pretty much his entire life in an orphanage. He is an average boy in every respect, but on his 12th birthday he is attacked by the resident bully, Tommy Tuttle, and at the time he thinks how satisfying it would be if he could “just set Tommy on fire”. To his utter surprise, the bully is engulfed in a ball of flame. He is next visited by a suave and mysterious man, Nevar Loeren, who tells him that he is far from average. In fact, he is a “Norcinite,” a group of people with special powers, and invites him to attend their school, Snisnar, to train him to control these powers. There he will learn to move objects with his mind, create protective shields, control his own thoughts and read the minds of others. Since he has few options in the world, and would have to submit to frequent episodes of mind control if he refuses to enroll, he eventually decides to go. From there on in, his life is changed, and he develops a friendship with Mike and Shelley who become a triumvirate, a working team who care for each other. However, At Snisnar Dan begins to have nightmares, and is in fact attacked on several occasions by an unseen enemy. Apparently, at one time, there was a group of Norcinites who believed they were superior to the lesser race of Commen (the Old Race), and wanted to eliminate these and those Norcinites who married Commen and their children—i.e. those who did not directly descend from Steven Noricin—the founder of Sisnar. Key to getting to bottom of all this are some cryptic puzzles that Steven Noricin left behind, and knowing something of how Mark Sheldon’s thinking works—from postings on his Facebook page—I suspect there is quite a parallel between the two. The quibbles I have are minor. Yes, I did find the story somewhat under developed at this stage, perhaps a bit rushed as well, but it is the first of a 12-part series, and I am sure it will gain depth as the other parts unfold. Altogether I found it delightfully refreshing, and it took me back to when I sat in a fence corner of our family farm reading about wizards and villains. Enthusiastically recommended. Four stars. 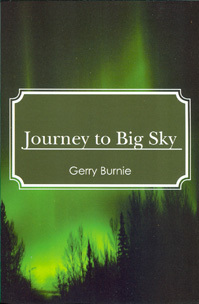 News: I am currently rewriting Journey to Big Sky for re-release as Nor All Thy Tears: A Canadian M2M Romance. Scheduled for re-release in July 2011. Two Irish Lads is being formatted in a Kindle version. Watch for a launch date.